The 'beep-bing' of the cash registers. The gleam of the polished floors, reflecting harsh fluorescent lighting from above. The blue-vested greeters, welcoming shopping carts packed full of squealing, angry kids. Yep, it's Walmart! This summer I experienced all the big box retailer has to offer (and more). From the dark and grungy depths of Dufferin Mall to the austere air of suburban Barrie, I got to see how people — you know, REAL people — save money and live better. As it turns out, the people of Walmart aren't as complicated as I thought, and they had a lot to teach me about not only consumer behaviour, but human behaviour, too. Right? The people of Walmart, at least, seemed to have very simple needs, very simple desires. And it doesn't take much to fulfill them. McDonald's. $5 Movies. A long shelf teeming with magazines. Oh, yes! You can throw Maslow's Hierarchy of Needs out the window, Sir, there's no complicated psychology or self-actualization here. People seemed bored, and so they dropped by the Walmart. This simple mindset also extended to their opinions. Everything was okay. Good enough. Don't mind it. Simple! Many Walmart denizens who I saw seemed to be shopping there almost religiously — a stroll through the store was part of their habitual routine. They knew the aisles, they knew the sections, they knew how and where to find what they were looking for. Except they weren't looking for anything. They were there because they were there. It was soothing, it seemed, for them to be in a Walmart. Familiar, comforting. Just something that they did, simply a force of habit! About their lives. About their relationships. About the state of their household. There was no sense that they had "problems" to solve or that there were any emergencies that needed the right product to save them. They were rarely on a mission to correct some injustice in their pantry. They seemed quite happy! 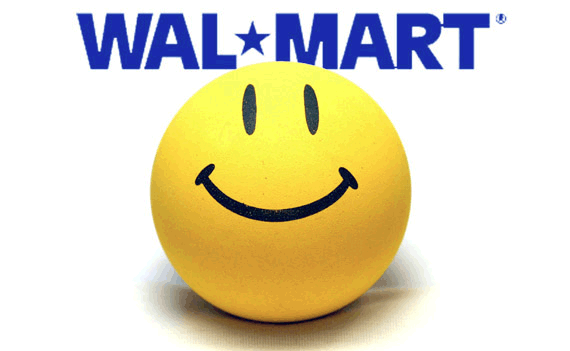 So, I ruminated as I gazed across the checkout aisle, what's the big box truth about what I learned at Walmart? Are the people there really that different from you and me? Instead of a curious, quaint reflection of the bored suburban deal hunter, were they actually a true reflection of how people really are? Aren't we all just like them? With that and more 'beep-binging' in my brain, I passed through the checkout lanes and headed straight for the in-Walmart McDonald's. I deserved a Big Mac.